Cellphones have come a long way ever since they were blamed for causing cancer. A new cellphone attachment goes all the way to prove just that. 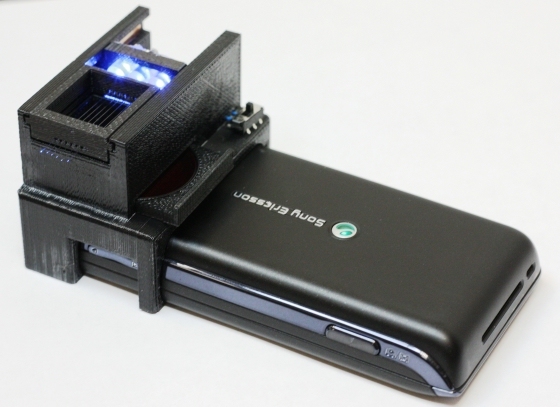 Students working under the guidance of Aydogan Ozcan in UCLA have created an attachment that will detect the presence of E.Coli bacteria in a food sample. This cellphone attachment is based upon the technique used in a fluorescence microscope. Basically, it pumps up a food sample into small tubes filled with E.Coli antibodies. Upon measuring the excitement of quantum dots situated around a phone’s camera lens, scientists can safely say which food is safe for you and which one’s not. This accessory might not be one that the layman would like to chug along, but it is still quite an improvement in terms of cellphone technology. Sometime in the future, we envision cellphones giving you blood tests, detecting blood pressure and blood sugar. Heck, they even might be able to give you an X-ray or an MRI.